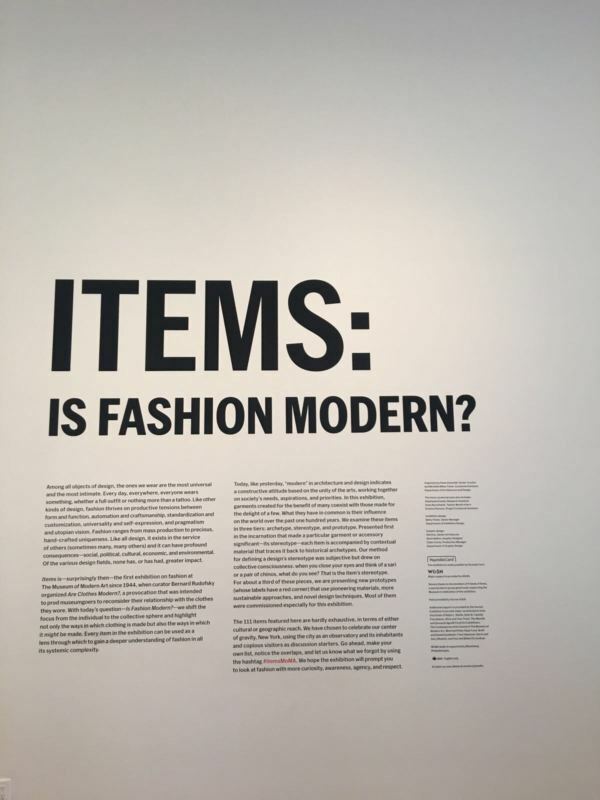 We are extremely proud to be part of the current exhibition at the Museum of Modern Art, New York, “Items: Is Fashion Modern?”. 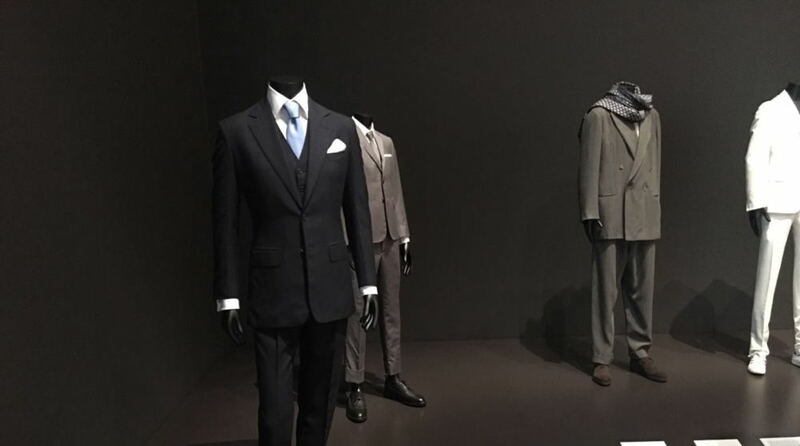 The exhibition explores the present, past—and sometimes the future—of 111 items of clothing and accessories that have had a strong impact on the world in the 20th and 21st centuries—and continue to hold currency today. 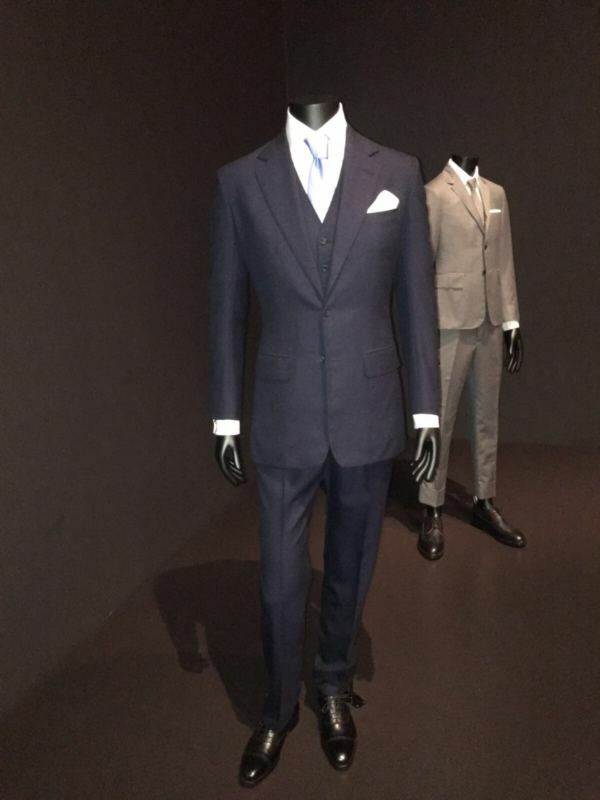 MoMA commissioned an Anderson & Sheppard suit that is displayed among other well-known and transformative pieces. 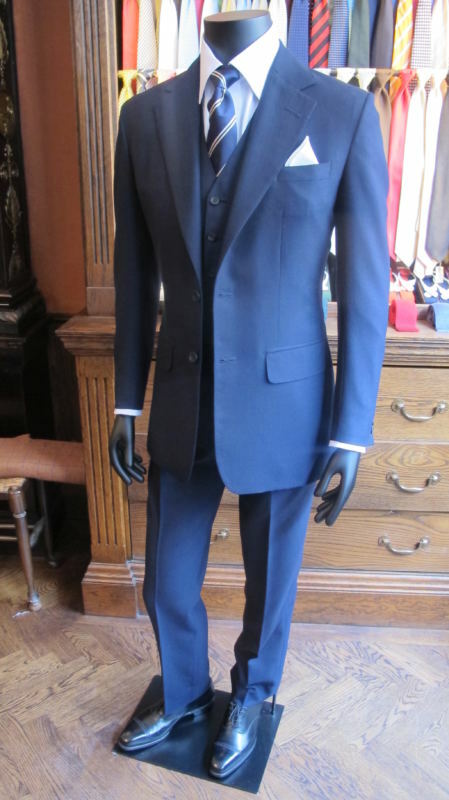 Cut by Leon Powell and John Malone and made by Derek Tomlinson, Emily Hayward, Finnan Lane, Rosemarie Bolger and Michaela Cojocaru, the navy blue hopsack three piece suit is exhibited as the architype suit. 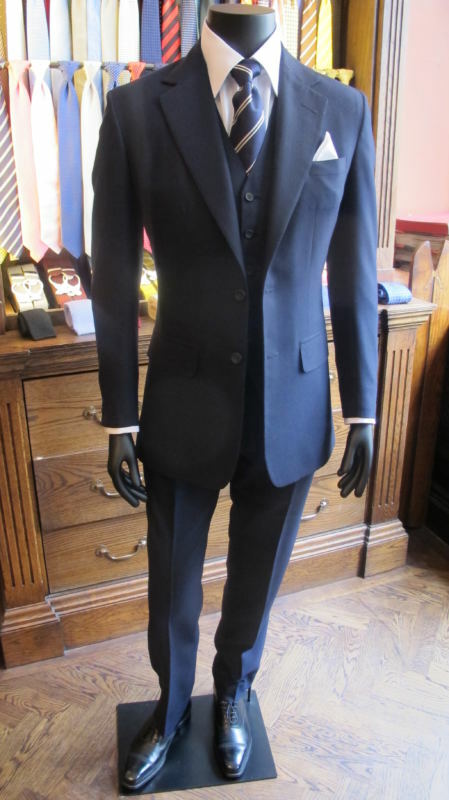 The cloth is Smith 3559 12/13oz and the suit is accompanied by a pair of ‘Charles’ cap-toe leather Oxford shoes from George Cleverley. The exhibition is on display from October 1st 2017 – January 28th 2018 at the MoMA. Many thanks to Senior Curator, Paolo Antonelli and Curatorial Assistant, Michelle Millar Fisher at the MoMA’s Department of Architecture and Design for including us.